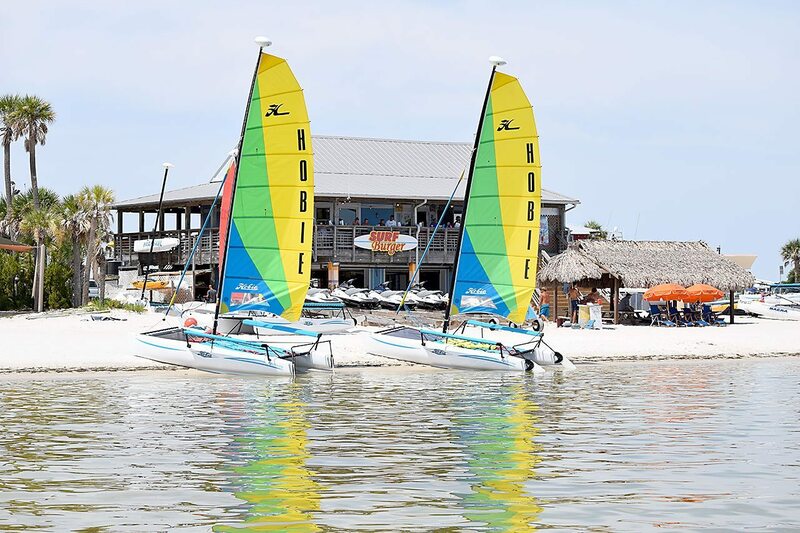 Catamaran Rentals on the beach at Pensacola Beach, Florida. We have two different catamaran sailboats you can take out according to your experience level. All new boats. The boats are very easy to sail . All the boats are equipped with all necessary safety equipment and lifejackets. The rental rates for all our sailboats are $60 for one hour, $100 for two hours, a half day (3-4 hrs) is $150, full day (6-8 hours) is $200, two days is $350 and additional days are $150 each. We have the Wave (length 13' main sail only and can hold 3 adultsor about 600 lbs. ), the Getaway (16' 7" main and jib, can hold 900lbs). No reservation required.